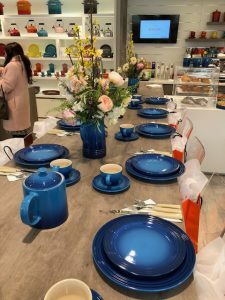 I recently attended a delcious brunch at Le Creuset’s Vancouver store and cafe in South Granville where they launched their newest colour for 2018. 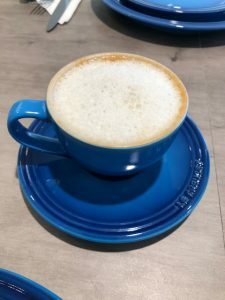 For brunch, I enjoyed an Cappuccino with almond milk, followed by some delightful Thierry items that included a quiche, chocolate croissant, walnut buns, veggie sandwiches and more. 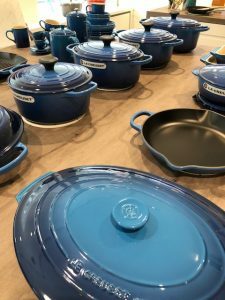 Each year Le Creuset has a Colour Reveal, and this year is no exception. 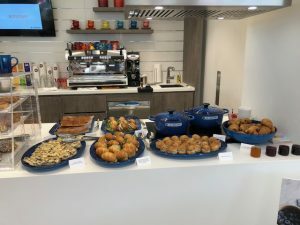 Premiering across Canada on April 27 is their new Blueberry colour which will be available throughout their line of plateware and dishware. 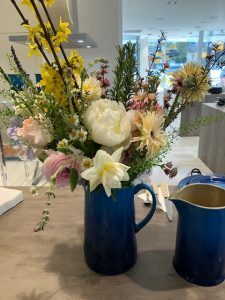 You can visit their Vancouver boutique which is located at 2997 Granville St in Vancouver and browse their collections.